Chris Barber is not a household name in the United States blues scene, but he was an incredibly influential figure in Britain’s popular music scene in the 1950s and continues today to be an active performer and bandleader. Barber, a jazz trombonist, was inspired by the King Oliver Creole Jazz Band to form his first Barber New Orleans Band in 1949 at the age of nineteen. A steadfast traditionalist in that sub-genre of jazz, Barber also developed a strong interest in the blues. 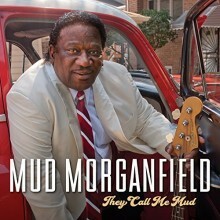 He thus went to great effort, particularly between the late 1950s and mid-60s, to bring a number of legendary blues performers from the United States to Britain to collaborate in recordings and live concerts with his band. This latest release from the new British-based Blues Legacy label is framed as “Lost & Found,” an endlessly compelling trope for traditional music of any kind (but particularly, it seems, for the blues); it is the musical equivalent of discovering hidden treasure. Sometimes this is the real deal, however, and sometimes it is fool’s gold (or at least somebody else’s). Thankfully, ‘Lost & Found’ is the former. As is the mandate of liner notes in this ilk, they lay out the story of discovery: Chris Barber came across some old ¼” magnetic tapes that he had believed were lost or erased when he was shipping one of his American cars from storage for restoration. He dug up a number of these recordings, and thus was born the Chris Barber Presents The Blues Legacy ‘Lost & Found’ series, released now on three separate CDs. 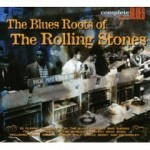 A wide variety of influential blues figures are prominently featured on the CDs. 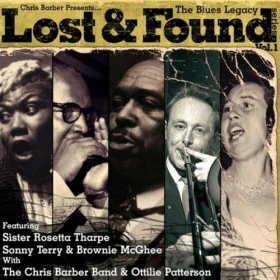 Volume 1 (23 tracks) features Sister Rosetta Tharpe with The Chris Barber Band on tracks 1-10 (1957) and Sonny Terry and Brownie McGhee on tracks 11-23 (1958). 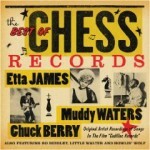 Volume 2 (23 tracks) features Sonny Terry and Brownie McGhee alone and with The Chris Barber Band & Ottilie Patterson on tracks 2-6 (1958), Muddy Waters with Otis Spann and The Chris Barber Band on tracks 8-17 (1958), Champion Jack Dupree with The Chris Barber Band on tracks 19-21 (1959) and Louis Jordan with The Chris Barber Band and Ottilie Patterson on track 23 (1962). 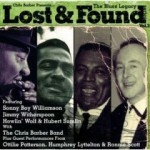 Volume 3 (29 tracks) features Sonny Boy Williamson with The Chris Barber Band on track 2, and tracks 4-13 (1964), Jimmy Witherspoon with The Chris Barber Band, Humphrey Lyttelton, and Ronnie Scott on tracks 15-17 (1964), Howlin’ Wolf with Hubert Sumlin and The Chris Barber Band on tracks 19, 21, and 23-24 (1964) and Jimmy Witherspoon with The Chris Barber Band on tracks 25-29 (1980). I think it is necessary for recordings presented as historically important to provide at least brief notes on the time period referenced in the liner notes. 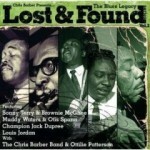 The liner notes for all three ‘Lost & Found’ CDs do not provide this bigger picture. While some of this is embedded, the notes are really more a collection of fragmented anecdotes by Barber about the specific performances featured on the CDs. For this reason, I will first offer some context here before moving onto the performances themselves. At a time of economic hardship (an aftermath of post-WWII reconstruction), British youth became fascinated with the media exports of the booming U.S. economy, including early rock and roll. Barber’s interest in a more traditional style of jazz was a part of his interest in the preservation of historical sounds more generally as well as jazz and its roots more specifically. This personal drive developed into a strong interest in blues and blues-based music from the United States, and in pursuit of his passion, Barber exposed the blues to countless others by organizing concert tours in Britain with many of its most talented artists. Today he stands as a pivotal figure in launching the British blues subculture that quickly blossomed into a historical movement. British blues and the rock that grew out of it forever changed the face of popular music in the United States, Britain, and the all over the world. So the recordings on these CDs are of immense historical significance – reason alone, for some perhaps, to pick them up – but they are certainly not representative of what was happening more broadly, neither what came before nor after. This is because these CDs bring together an unusual and largely unprecedented mix of performances. Though sometimes performing by themselves, the various blues artists featured here are usually backed by The Chris Barber Band’s tight New Orleans jazz sound! This collaboration is always interesting, and is sometimes even riveting, intense, and powerful – as when Sister Rosetta Tharpe leads Barber’s band on “When the Saints Go Marching In” on Volume 1 (but remember, that is standard rep for New Orleans jazz) or Louis Jordan’s single appearance on the recordings with Ottilie Patterson and the rest of the band on “T’aint Nobody’s Business” on Volume 2. It is, however, at other times jarring, incompatible, and incomprehensible – take Howlin’ Wolf’s rendition of “Howlin’ for My Baby” with Hubert Sumlin and the band or Sonny Boy Williamson with Ottilie Patterson and the band on “This Little Light of Mine” (both on Volume 3). These CDs, for the most part (sometimes voices are much too low compared to the band, and Sister Rosetta Tharpe’s guitar is inaudible on her solo tracks) sound fantastic. 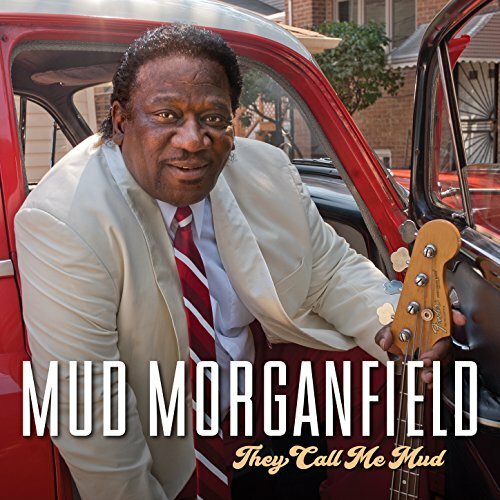 The historically-minded will enjoy their significance and the eclectic-minded will probably get a kick out of the unusual genre-mashing going on here (as I did); for the die-hard blues fans, however, better and more “bluesy” recordings exist for most of the artists featured.